Thomas Legler is a partner and member of PESTALOZZI’s Litigation & Arbitration group and of the IP&TMT group in Geneva. His practice focuses on representing corporate and private clients in international and national arbitration and litigation cases. He also regularly acts as chairman, sole arbitrator or co-arbitrator under the ICC Rules, Swiss Rules, or in ad hoc panels. He is a Fellow of the Chartered Institute of Arbitrators (FCIArb), the IP Panel of the Hong Kong International Arbitration Centre (HKIAC) and the Silicon Valley Arbitration and Mediation Centre (SVAMC). In addition, he is a member of the ICC Swiss National Committee and one of the Swiss delegates on the indicative list of arbitrators of the WTO. He also serves as arbitrator for WIPO, including for domain name disputes. In addition, Thomas Legler advises corporate and private clients in the field of intellectual property (among others trademark, copyright, and patent law), and in respect of distribution and license agreements, IT, e-commerce, telecommunications and data protection as well as entertainment and media. As a member of the International Bar Association (IBA), he serves as an Officer of the Intellectual Property and Entertainment Law Committee. In 2012, Swiss Parliament elected Thomas Legler as deputy judge of the Federal Patent Court. After his law studies at the University of Berne, Thomas Legler was admitted in 1988 to the Berne Bar and in 1991 to the Geneva Bar. He obtained in 1993 a DES (LLM) and, in 1996 he graduated (Dr.iur.) from the University of Geneva. Thomas Legler is author of several publications, in particular in the field of arbitration, IP and Internet issues, and he is a frequent speaker at national and international conferences. 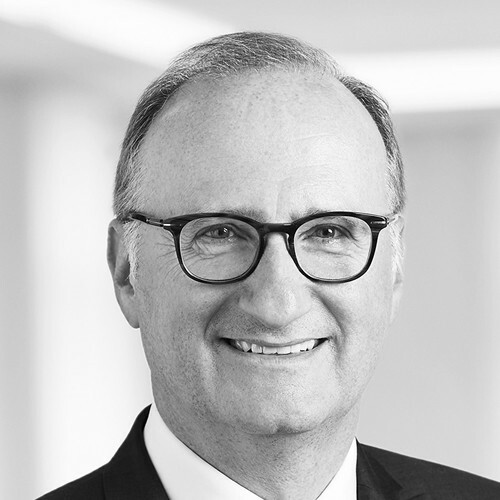 Best Lawyers® recognized Thomas as “Lawyer of the year 2019” for his activity in intellectual property law in Geneva. Thomas Legler is recommended as litigator and arbitrator in professional publications and listings, such as the The Legal 500, Patent Law Experts, Who’s Who Legal and Chambers and Partners Europe. Lastly, Mr. Legler works in English, German and French.